Whenever you want Accountants in Brampton, there is no better choice than Bajwa CPA. A big part of your professional depends on your accounting system and how you achieve and maintain your financial records. You need to keep your financial records and accounting efficient not just as required, but also to constantly have a finger on the pulse of your professional. Bajwa CPA accountants and financial specialists are available to individuals and small as well as mid-sized companies in Brampton, Mississauga areas, and are well experienced with accounting and income tax laws in Canada. At Bajwa CPA, we provide completely personalized solutions to meet and exceed your individual and corporate Accountants in Brampton needs because Bajwa CPA fully understands that every business is different and hence has special needs. When you decide to partner with Bajwa CPA we don’t offer you off-the-shelf financial and accounting services, Bajwa CPA offers you solutions that totally adjust your professional problems. Bajwa CPA team of accountants and finance specialists will make assured that your bookkeeping and other financial matters keep pace with your professional operations without you having to get yourself anxious about them. And the best segment is, the moment you need financial details and reports they are instantly available to you. Bajwa CPA financial engineers and Accountants in Brampton establish standards and procedures that instantly plug all the escapes that can convert into big drains as you expand your operations and move into the bigger levels of excellence. Even small differences in your income tax returns and book entrances can snowball into enormous but totally unnecessary and avoidable difficulties. Bajwa CPA not just takes care of your current troubles it also anticipates future problems and challenges and takes care of them right now. Bajwa CPA keep your financial base strong and when you have a strong foundation you can extend for the skies with solid confidence. Our Accountants in Brampton and financial consulting services are available to individuals and small as well as mid-sized businesses Brampton, Mississauga. At Bajwa CPA, our main aim is to support you attain higher effectiveness without getting confined in the nitty-gritty of accounts and finance related details. Although attending to your financial books might not be your core capability, it is a necessity that no business can avoid, and this is where Bajwa CPA can pitch in as a competent consulting service. Bajwa CPA decrease your direct involvement while delivering total accounting and financial solutions. Bajwa CPA fully understands that every business has its own matchless Accountants in Brampton needs. The team of accountants and financial consultants at Bajwa CPA is drawn from countless fields of business and commerce so that they instantly feel at home no matter what sort of business you provide. Bajwa CPA is a hands-on accounting and financial services well-founded that believes in closely working with its customers to ensure accuracy and suitability. This supports Bajwa CPA build relationships that are rewarding as well as long-lasting. 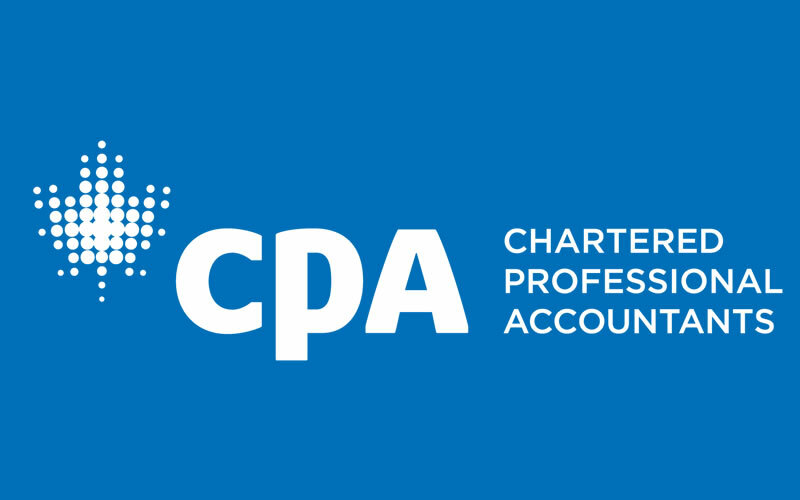 Bajwa CPA doesn’t handle your professional just as another “account”; once you decide to partner with Bajwa CPA, we become an integral part of your team and your growth becomes Bajwa CPA common goal. So rather than providing services Bajwa CPA believe in providing out-of-the-box solutions. Exactly this is the reason why Bajwa CPA don’t have to spend thousands of dollars on advertising Bajwa CPA services, our happy and satisfied customers do the job for us by counseling our matchless services to their colleagues, friends, and relatives. Bajwa CPA professional is based on the philosophy of visualizing dreams and then giving shapes to them. Although Bajwa CPA deals with money and finance day-in-and-day-out, Bajwa CPA definitely believes that by the end of the day it’s Bajwa CPA interpersonal exchanges and experiences that define who we are and how Bajwa CPA live our lives. Bajwa CPA provides you totally personalized and customized income tax preparation and Accountants in Brampton services because we know every professional has irreplaceable requirements and well-entrenched systems and processes that have remained operational for many years. At Bajwa CPA Professional Corporation, we offer a wide range of tax and bookkeeping services for our Corporate customers. By keeping current on the tax laws and legislation and click the link to learn more about our corporate tax return services. Bajwa CPA can also help you in filing your Professional Tax Returns for Unincorporated Businesses. If you are Sole Proprietor / Partnership or running a small business…click a link to learn more about business tax return service. Keeping your company’s books up to date and perfectly is critical to measuring growth, planning for future and filing perfect year-end tax returns. Click a link to learn more about Bajwa CPA bookkeeping services. Bajwa CPA Tax firm is committed to providing high-quality personal tax return preparation services (T1 General). We are highly experienced to handle a wide variety of personal tax returns. Click a link to learn more about Bajwa CPA personal tax returns service. As a nonresident of Canada, you are subject to Canadian Income Tax on most Canadian sourced income paid or certified to you during the year without all or part of it is released under a tax treaty. Click a link to learn more about Bajwa CPA nonresident tax returns service. Whether you are a sponsor in real estate for earning a charge income or a real estate member who buys and sells real estate frequently to earn profit counted as capital gains and click a link to learn more about Bajwa CPA real estate tax returns service. Under Canadian Tax rules, a family trust is a personal rely on and must detect the rules about personal trusts. Click a link to learn more about Bajwa CPA trust & estate tax return service. Bajwa CPA is very well-informed in delivering Incorporation, Federal & Local and Specialized registration services for business corporations, professional corporations, not for profit corporations, NUANS name search & Business Name Registration Services and click a link to learn more about Bajwa CPA incorporation & business registration services. Accurate preparation of financial statements is vital for corporations and businesses as there are users who have a vested interest in your financial statements and click a link to learn more about Bajwa CPA financial statements services. At Bajwa CPA, we are knowledgeable about the complexities of the Canadian Tax System. Bajwa CPA experienced team of tax specialists can develop made-to-order tax planning strategies and click a link to learn more about Bajwa CPA tax planning services. Read More About Accountants in Brampton!